This article covers how to ship expensive products and the products that need to be delivered urgently. In this article, we will cover UPS Direct Delivery Only (DDO) service. With the help of UPS DDO and WooCommerce UPS Shipping plugin, this article will help online store owners to ship their precious items with ease. WooCommerce is a great platform for E-commerce businesses. It allows online store owners to set up their e-shop and sell different types of products across the globe. Be it a small business with relatively cheaper products or a huge business with expensive products, WooCommerce can handle it all. However, form the very beginning, urgency and shipment security have been some of the major concerning factors when it comes to product shipping. Delivery delays may not be a thing to worry when it comes to normal products. But for expensive items, delivery delays can be disastrous. Similarly, in the case of such kind of products, both the store owner as well as the buyer need to be assured that the product will be picked up and delivered securely. What is UPS Direct Delivery Only..? UPS is among the top shipping carriers that ship throughout the world. It provides fast and secure shipping services covering both domestic and international destinations. One such service which UPS offers is the Direct Delivery Only. 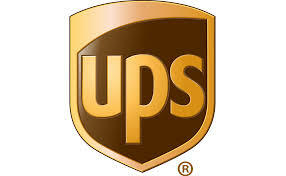 UPS Direct Delivery Only is one of the best services UPS provides for expensive and time-sensitive products. It ensures that the package to only be delivered to the residential or commercial address that the buyer had entered at the time of purchase. It prevents the recipient from redirecting the package to some other address. One more benefit of the DDO is that it stops the UPS Drivers to deliver the package somewhere else in case the recipient isn’t available on the provided address. The answer to this question is, the Direct Delivery Only is not mandatory for all the products. When it comes to selling products that are expensive and require a timely delivery, extra care needs to be taken. Hence, UPS provides a dedicated service just to ensure that the shipment is on track and unless there is an emergency, the shipment is delivered at the exact address as it is mentioned on the shipping label. In the above sections, we covered UPS Direct Delivery Only. However, the question still remains that how can a WooCommerce store owner enjoy the benefits of this service. So as the answer to this question, let us see how WooCommerce UPS Shipping plugin provides the UPS DDO service to the store owners. WooCommerce UPS Shipping plugin offers the UPS DDO service at the product level. It allows store owners to select this service for any product in the Product Edit page. Once enabled, that product(s) will be eligible for the UPS Direct Delivery Only. Apart from the Direct Delivery Only service, UPS also provides delivery confirmation with the recipient’s signature. This generally helps in the delivery of alcohol and spirits, which must not be received by a minor. Hence, if the store owners select any delivery confirmation on the products page, then UPS would have to ask for the signature while delivering the package. WooCommerce UPS Shipping plugin provides the following Delivery Confirmation options. Once these services are enabled for a product, the store owners can easily check whether the Direct Delivery Only service request is sent to UPS or not. To do this, all you have to do is, enable the Debug Mode and add the product to the cart. On the cart page, if the service is enabled then the UPS Request would be including the Direct Delivery Only indicator <DirectDeliveryOnlyIndicator> and it would be set to Yes. The image below shows the product in the cart is eligible for direct delivery. For easy understanding, here is a video showing how you can configure UPS Direct Delivery Only service using WooCommerce UPS Shipping plugin. This article covers how online store owners can ship precious items throughout the world. Product safety is one of the basic necessities when it comes to shipping. Using UPS Direct Delivery Only (DDO) as a shipping option can help store owners ship costly items securely. It ensures the shipment would be delivered directly to the delivery address provided by the buyer while placing the order. The UPS delivery driver is not permitted to change the address of delivery or even deliver the package to someone else if the buyer is not available at the address. If you have any queries or suggestions regarding the article, feel free to share your views in the comment section below. We really appreciate any suggestions from our readers. If you want to know more about the plugin and its features, visit WooComerce UPS Shipping plugin. For your convenience, we have attached some of the features of the plugin below.